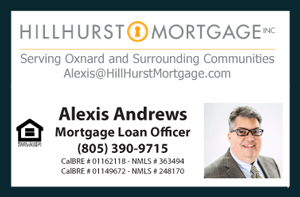 I would like to invite everyone to come out to my open house at 550 E Yucca St Home for Sale in Oxnard, California this saturday February 21st from 1 to 4 pm. I would like to thank Jared Jones from JMSA Inc. for allowing us to showcase this wonderful property. This is a four bedroom two bath single-family home with about 1800 square feet of living space, lot size 6,222 square feet, located in the south of Oxnard. It is Move in Ready and FHA offers are welcomed. As usual, I will be having a lender present to answer any affordability concerns about this property or any property that you may have in mind or simply come and learn the latest financing requirements. Learn about down-payment programs and more. Please feel free to invite all of your friends and family members. Let's have some fun and let's talk real estate. We would appreciate your feedback. Hope to see you there.